We are all aware of those actors/singers who could both make us feel emotions with an impressive acting range or enchant our ears with delicious voices. Here, I’m thinking of the Doris Days and the Frank Sinatras of this world. But did you ever wonder where we situate our three enchanting ladies in this world of acting and singing? We all know that they could ACT. But could they sing? That’s what we’re going to discover in a moment. When we think about this subject, the one who is most likely to pop-up in our heads first is Audrey, sweet and lovely Audrey. Why? Because we had the occasion of witnessing her singing’s skills on more than one occasion. And could she sing? Boy, she could! Her voice is maybe not as powerful as Julie Andrews or Doris Day’s one, for example, but it’s one that suits her perfectly. To me, a good voice isn’t necessarily a perfect opera voice or the voice of someone who is doing vocalizations every morning after breakfast. A good voice is, first, a voice that is in tune (obviously) and, second, a voice that has personality. And Audrey had both. Her singing voice matches perfectly the way she was. Just like her personality, it is a voice that has a touch of innocence, who is comforting and that seems to come right out of a fairytale. It’s a voice that belonged to Audrey only and that’s why we love it. On screen, we first heard Audrey singing in Sabrina. Billy Wilder’s 1954 film isn’t a musical, but there’s one moment where she sings Edith Piaf’s La Vie en Rose during a car ride with Humphrey Bogart. The moment is a short, but sweet one and seems to embody all the romantic essence of the film. What is also interesting about this singing moment is that Audrey sings in French and she does it well. I’ve also discussed it in my article They Spoke French! Poor Humphrey, he seems a bit intimidated by her singing (that he doesn’t understand) and the way she intensely looks at him! In 1957, Audrey starred in Stanley Donen’s musical Funny Face and, thanks god, they used her own singing voice. Of course, as it is a musical, we now have the chance to hear much more of Audrey’s singing abilities than it was the case for Sabrina and, once again, we are not disappointed. She starts it all with “How Long Has This Been Going On?”. The song was composed by George and Ira Gershwin, originally for the onstage production of Funny Face in 1928, but was finally not used. It’s Audrey that introduced us to it in this “dreaming alone” performance. We then hear her singing again in the cheerful song “Bonjour Paris!” where she lets us know how much she longs for meeting the existentialists of Paris’s dark places. I love the mix of her voice to Fred Astaire’s crooning voice and Kay Thompson deeper, but still very expressive voice. Three very unique voices that form a superb harmony. I love the fact that she’s perfectly able to pronounce the “r” of “bonjour” and “Paris” (without sounding like an anglophone). This song is definitely my favourite one in the film. We then have a delightful duet between Audrey and Kay Thompson in “On How to Be Lovely”. I believe the song is not the most well-known of the film, but the humour of its staging certainly makes it an appreciable moment. If you’re unhappy, well just look at Audrey’s big smile in this musical number. Because Audrey didn’t only know how to sing, she also knew how to have the appropriated attitude according to what she was singing. I believe Audrey was a versatile singer! I just love how she seems so motivated in this scene! It makes me want to enter in the screen and sing with her! Finally, Audrey does one last duet when she sings “S’wonderful” with Fred Astaire. In this final scene with a fairy cinematography, Fred and Audrey (both wearing white) sing this romantic song and we finally know that they are meant for each other. Audrey first introduces her voice by doing the beautiful echo of Fred’s voice, before singing her own solo and make our hearts melt. They then sing beautifully together and conclude everything with a memorable dance in this little place of paradise. If Breakfast at Tiffany’s isn’t a musical, this film contains perhaps one of Audrey’s most iconic singing moments and you all know which one I’m talking about! “Moon River” of course! The song was originally composed for the film by John Mercer and Henry Mancini. Moon River wasn’t only composed for the film, but also for Audrey. Mancini wrote the song especially for Audrey’s voice which, despite being beautiful, had its limits as she was not a professional singer either. The song perfectly symbolizes the film in its own way, especially when Audrey sings ” Two drifters off to see the world. There’s such a lot of world to see.” Here, we clearly think of Holly and Paul’s adventures in the Big Apple. The scene where Audre serenades at her window wearing a towel on her head is a simple, but a beautiful one. Just like Paul Varjak (George Peppard), we are seduced by the actress. The guitar accompanies it perfectly. What I especially like about Audrey’s singing voice is that, just like her talking voice, is perfectly articulated. There’s something about it that makes me think of Jean Simmons’s singing voice in Guys & Dolls. Well, we obviously had a lot to say about Audrey’s singing. But what about hum… Grace Kelly? We didn’t have the chance to hear Grace singing voice as much as Audrey Hepburn through her acting career. However, she was part of one delightful musical moment when she sang “True Love” with Bing Crosby in the musical High Society (Charles Walters, 1956). 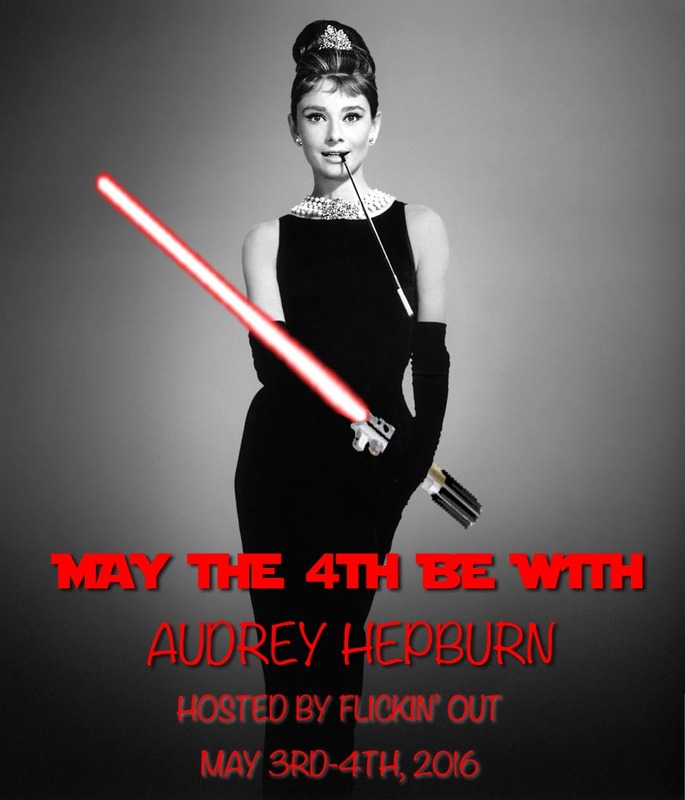 We can notice that her voice is lower than Audrey’s one, but, just like hers, remains faithful to her speaking voice. We never really hear her singing alone in this song, but she knows perfectly how to accompany Bing’s voice. It’s obvious that Grace wasn’t a professional singer, otherwise, we would have heard much more of her in this film (Grace singing while being drunk doesn’t really count). Or was her voice underrated? Yes, she wasn’t a professional singer like her pals Frank Sinatra and Bing Crosby, but I believe a chance for her to prove herself like Audrey Hepburn in Funny Face should have been given to her. This duet between Grace Kelly and Bing Crosby is, I think, one of the most beautiful ever. As this article by The Telegraph entitled “Grace Kelly Sang Her Own Version of ‘True Love'” reveals it, there were rumours that her voice in “True Love” was dubbed by a certain Niki Schenck, but these were only rumours and Grace DID indeed her own singing. I mean, give her a chance! Especially if it was just for one short moment of the film, I don’t see while she should have been dubbed (unless her voice was truly terrible, but I doubt it). Well, if Grace Kelly wasn’t a professional singer, I’m sure she had a respectable voice and was able to sing “Happy Birthday” in tune (because everybody ALWAYS sings that song off-tune. Awkward birthday moment). We finally come to Ingrid Bergman and this is going to be brief. While being an extremely talented actress (in my opinion, the most talented of the three enchanting ladies), her relationship with the singing world is more a mystery. However, even if we don’t necessarily remember it, Ingrid DID have a beautiful voice. Unlike Grace Kelly and Audrey Hepburn, Ingrid didn’t have the chance to star in a musical. However, she did have singing lessons when she was young as her father had the ambition for her to become an opera singer! We know that she chose another vocation, but these lessons weren’t useless as Ingrid Bergman singing voice, yes, became a beautiful one. As these few examples prove it, her voice deserved to be exploited much more often. We feel in it that she indeed had singing lessons once and knew how to use them. Ingrid Bergman’s voice is one that certainly deserves to be better-known as it is clearly a professional one. I’ll be curious to know which one of our three enchanting ladies has your favourite singing voice and, also, what is for you a “good singing voice.” Also, if you know more “secrets” about Grace Kelly’s abilities to sing, I’ll be curious to know! I did some researches, but didn’t find anything revealing. Thank you! As these ladies proved it, singing is, for some, a secret talent! What a fantastic idea for an article! You left out Ingrid’s singing in The Bells of Saint Mary’s though. She sings two (short) songs. She sings something before that song, I think in another language. Possible! Then it’s another proof that she did know how to use her singing skills. 🙂 But honestly I’ve seen the film only once so I don’t remember everything about it. Could have kept AUdrey’s voice. Thanks again!! Great article. I think Grace was the best singer. It would have been nice to have heard all three do more of their own singing on screen.